Diwali, which starts on November 7th, is the five-day Indian Festival of Lights. Homes are cleaned and decorated with diyas, strings of lights, flower garlands and paper chains, and doorstep designs are made for good luck with colored powders called Rangolis. Popular activities include playing card games, dressing up in new clothes, and exchanging boxes of sweets. 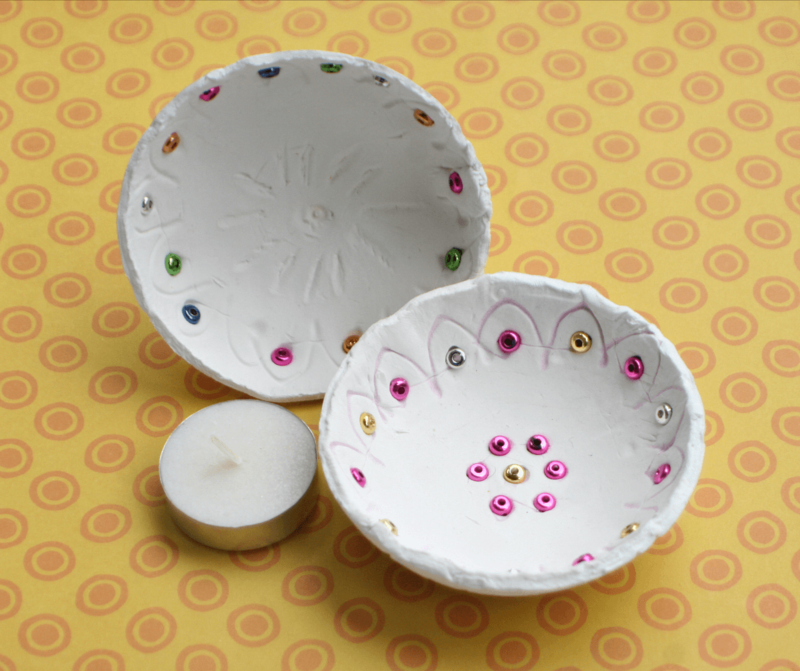 Our friend Kim Vij celebrates with her family by making their own diyas. Read more and learn to make your own! Diyas are a small type of lamp, lit on Diwali for worship and decorative purposes. 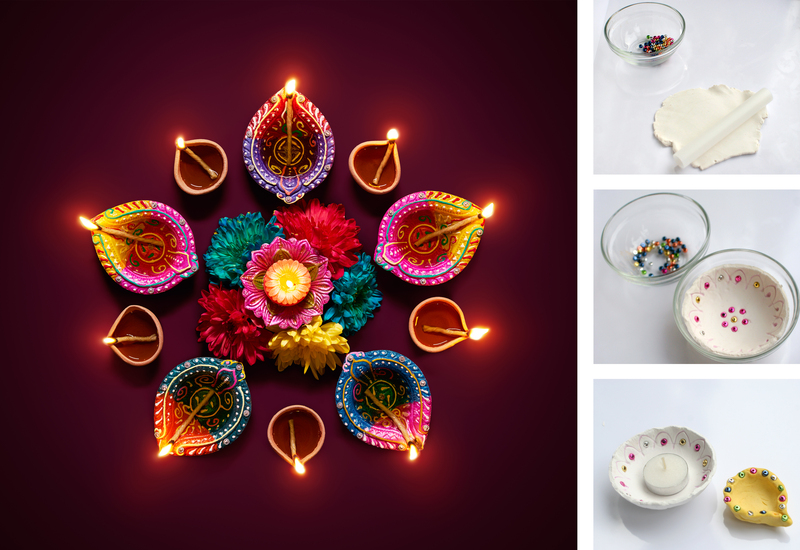 Diyas come in a variety of options: they can be plain, colorful, simple, fancy, big or small! Traditionally they are made out of clay and then filled with oil to be lit. They are lined up on building edges and windowsills and illuminated during Diwali. Roll out the air clay or play dough to a smooth thin layer. Place a bowl upside-down on top of the clay, and cut around the bowl to create a circle. 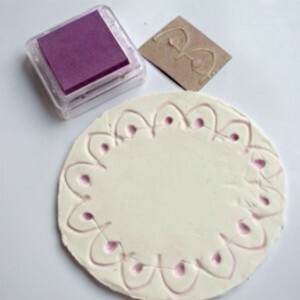 Stamp the clay using a pre-made stamp or carve out by hand. 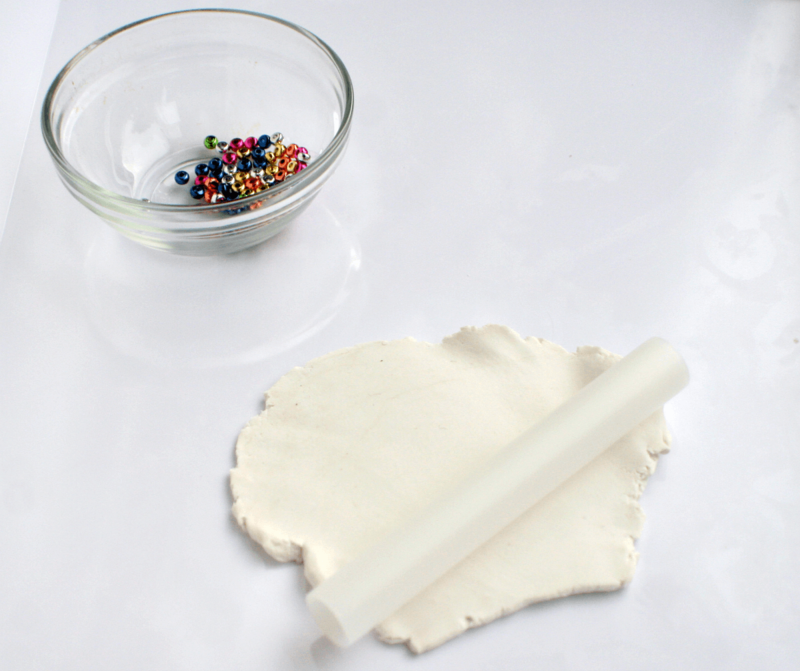 Take the clay circle and gently set into the small bowl to form the bowl shape of the diya. 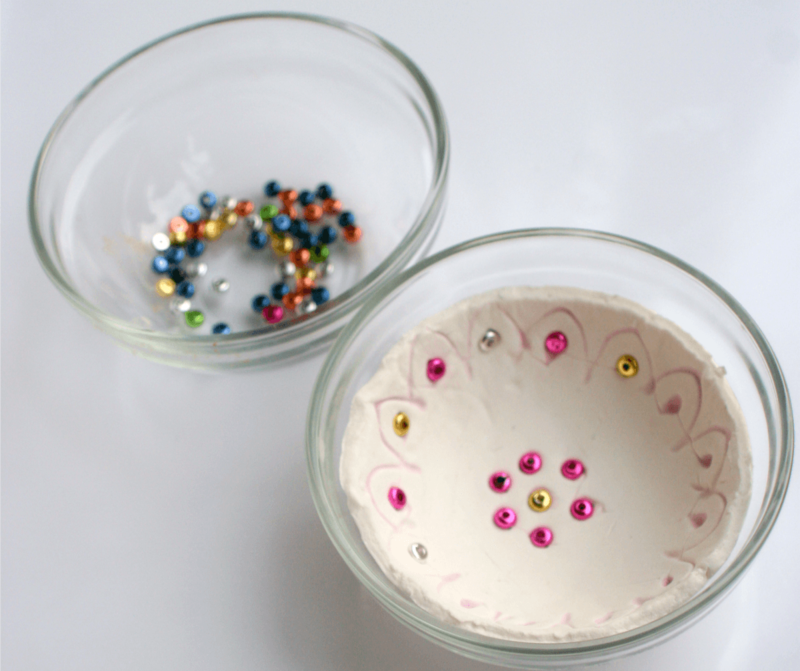 Add small beads for decoration. Allow clay to dry overnight. Remove from bowl to complete drying. 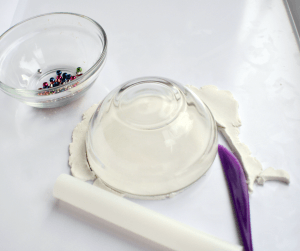 Once dry, paint the bowl for added decoration. (Optional) Add the candle to the diya and illuminate at night on Diwali! Kim Vij is an early childhood educator and mom of three. She shares her Educator’s Spin on parenting issues and how to make everyday moments into learning opportunities at The Educator’s Spin On It and award winning Pinterest Boards. 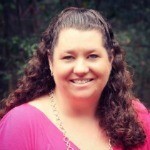 You can connect with Kim on Pinterest, Facebook, Twitter, Instagram & Google+. Mooncakes and More! 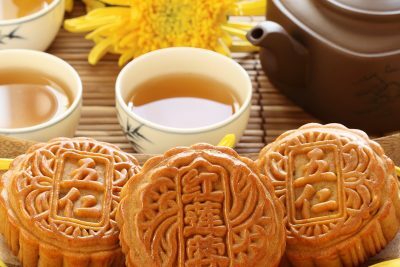 Celebrate the Mid-Autumn Festival! 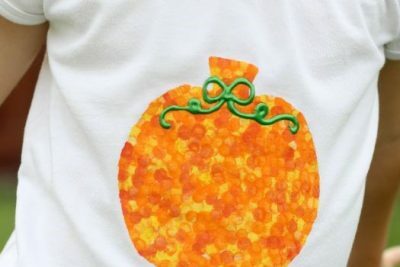 Easy 4-Step Halloween Craft for Kids! 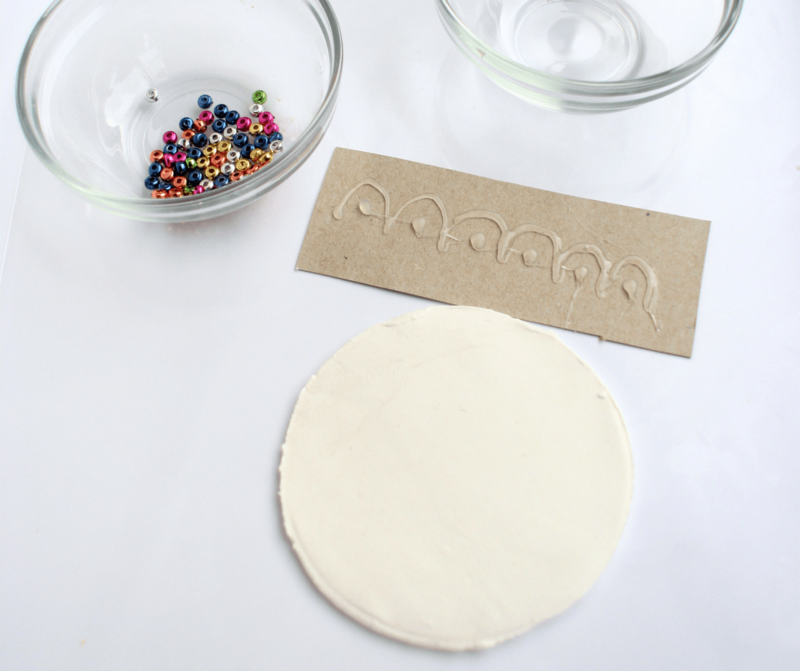 Create a homemade Mardi Gras mask and celebrate with your own parade! Get the tutorial here. Great idea. Will create some holiday fun with my Granddaughters for Diwali… when exactly is it? How absolutely beautiful! Even for everyday use! We are definitely going to make some of these! Thank you for sharing! I love this idea.One question these Diya will hold oil? yes, Amrita, I tried this diya. this is successful in holding oil also. Amrita these specific Diyas made with air clay or playdough will not hold oil in them. We use the votive candles or battery operated votice candles in ours to be a bit more kid friendly. Hope you have fun making them! An awesome festival hope will enjoy a lot. Great! That’s how we make diya and illuminate them for diwali! When date is the 2017 Diwali ? Hi Carol – it will be October 19th this year.